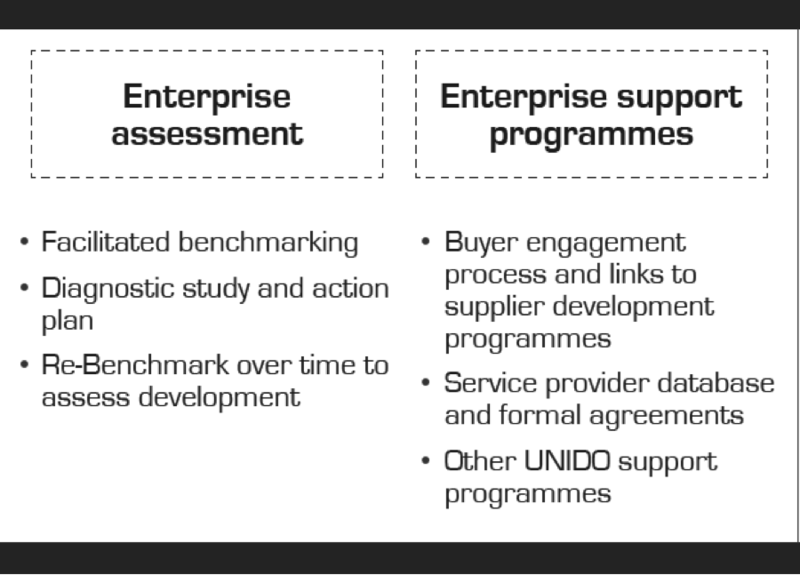 Utilizing the UNIDO SPX Profiling tool, SPX teams develop profiles of the skills and capacities of local companies to be promoted among buyers and provide customized support to buyers looking for competitive local suppliers. The SPX Benchmarking compares the operational, productive and innovative performance and practices of a company against those of other companies of similar size and type. This enables companies to objectively assess their businesses, to see clearly where they stand in relation to international practices within their sector, and where they need to upgrade to meet buyer requirements. Compares SME operational performance and practices against metrics from other companies of similar size and type. Effective Buyers Engagement– support to buyers to realise their local content strategies, meeting subcontracting requirements. The main purpose is to link buyers and suppliers through matchmaking and to reach out to suppliers of goods and services and offer national and international buyers a one-stop opportunity to quickly narrow down the search for credible local suppliers. 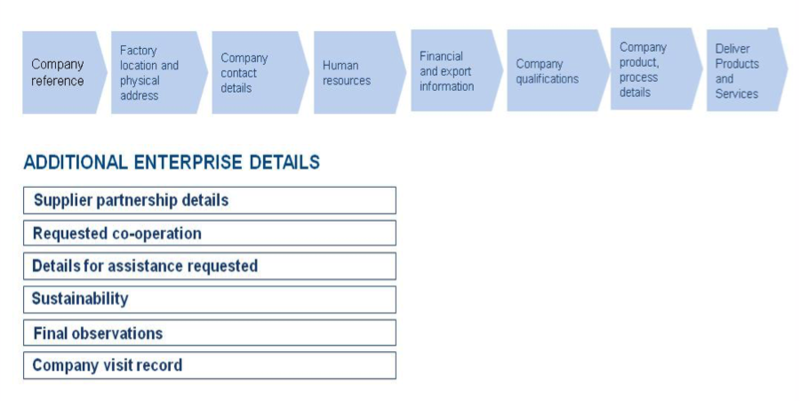 The SPX Buyer Engagement and Opportunity Development comprises a number of capacity building modules for engagement with buyers towards the fulfillment of matchmaking opportunities with potential suppliers. SPX Buyer Engagement provides a ‘step-wise approach’ in engaging with buyers, advises how to interact and seek information from buyers and ultimately deliver matchmaking opportunities to SMEs. It looks at the various aspects of the buyer opportunity development and matchmaking process by making reference to the different stages of buyer and supplier interaction. Contracting enterprises offer work to subcontractors, thus enabling suppliers to conclude contracts with them and, in the case of long-term contracts, to guarantee them a certain economic continuity. If such enterprises want their suppliers to meet their requirements to the greatest possible extent, they will need to support them in their development process.